SELECT’s RF isolating security tents are designed for portable, secure communications applications* where specific signal attenuation is required. Our RF security shielding pouches are also designed to isolate wireless communications devices. Select Fabricator’s engineering staff will also collaborate with your team to custom design lightweight, collapsible, secure RF security solutions that meet your specific applications. Select-A-Shield™ high attenuation RF Security Tents are designed to be used as lightweight, mobile, RF isolation communications centers. Easy to set up and dismantle, SELECT-A-SHIELD tents can fit into hand-carry transit cases for efficient shipping and the ability to be used in multiple locations. Select Fabricators can secure your electronics including laptops, printers and communications systems with portable, RF Security table top tents. Tempest secure keyboards, high attenuation power filtering, and RF shielded windows allow full access to standard laptop computers. Select Fabricators can secure your electronics including laptops, printers and communications systems with portable, RF Security table top tents. 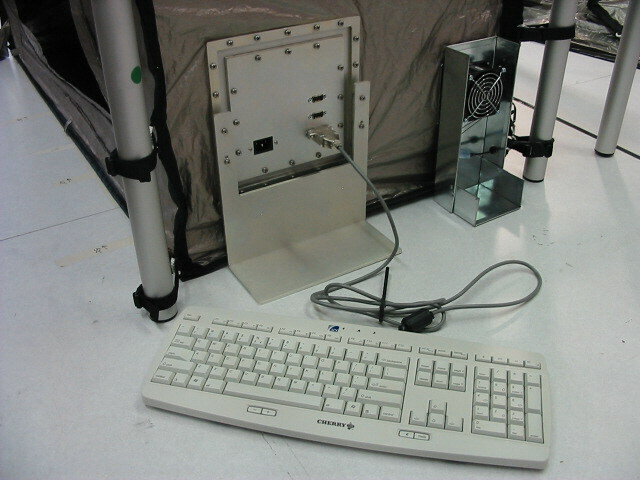 Tempest secure keyboards, high attenuation power filtering, and RF shielded windows allow full access to digital devices. RF isolation pouches secure wireless devices including cell phones, tablets, and computers. Select-A-Shield™ pouches prevent others from logging on and modifying or extracting data. These portable pouches are designed to immediately secure the device from potential RF signals that could be accessed or sent by unwanted third parties. Lightweight and flexible, these pouches are made to absorb and reflect signals from entering or leaving electronic devices, keeping information protected. Select Fabricator’s engineering staff will collaborate with your team to custom design lightweight, collapsible, secure RF isolation shielding solutions that meet your security applications. * RF isolation is one part of a secure communications protocol. Please make sure your operation is in compliance with all sections of the protocol.